If you have an employee whose work standards are below that which is acceptable, a written warning is an important step in creating a record of performance, and one that will hopefully serve as a springboard for improvement. If not, it creates an important document as evidence for the employee's dismissal. It is a document that you must exercise care with, though. You want your message to be clear and firm, but not taken out of proportion, or as an unwarranted attack. Presumably, you would like the employee to improve her/his performance and contribute to the company positively. The best way to make sure your warning letter is received as intended is to write with perfect English. 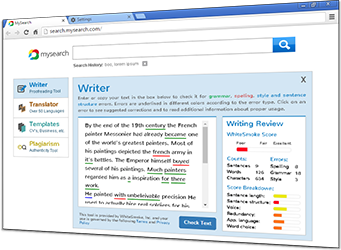 WhiteSmoke English writing software will ensure that your warning letter, and all your other office and business communications, will be correctly proofread and free of errors. WhiteSmoke's advanced English grammar technology, combined with spell checking software, will make your intentions ring loud and clear. Use very specific and direct language so your meaning is clear and firm. Outline the exact nature of the problem, the changes you would like to see, and a deadline for improvement. Also set a new meeting to discuss performance after the deadline. If you do intend to fire the employee in the case of no satisfactory improvement by the deadline, make this clear. If you do not, then do not use it as an empty threat - be honest at all times in your letter. Do not write in a way that shows you are angry. 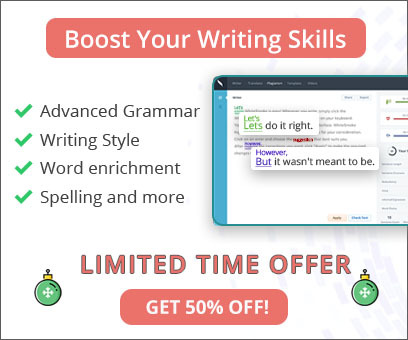 With these tips in mind, and scanning your letter with WhiteSmoke's English grammar software, you will be off to a good start with a letter that is clear and effective. WhiteSmoke, however, can offer you a lot more than advanced proofreading.